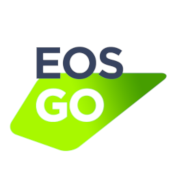 The up-to-date, in-depth, complete guide to dapps on the EOS blockchain. Become a full-stack EOS developer today. 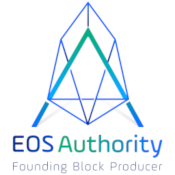 EOS received many updates up to its launch often completely breaking the old code. EOS has just been released and there are no good resources to learn from yet. Let's be honest, the documentation is as bare-bones as it gets. Trying to piece example code together and being hit with a meaningless error message isn't exactly fun. Don't know any C++? Overwhelmed by tutorials trying to teach you every single modern C++ feature? Learn C++ the fast way by focusing on language features specifically useful for writing EOS smart contracts. Become an EOS blockchain engineer with Learn EOS - The complete guide to developing dapps on the EOS blockchain! 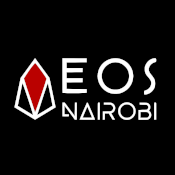 Learn EOS - The complete guide to developing apps on the EOS blockchain starts by explaining how the EOS blockchain works and teaches you the fundamentals of modern C++. We'll focus on the essential C++ language features that you actually need to know to work with the EOS library. This way you'll be writing your own smart contracts with no prior C++ knowledge in no time. You'll get a quick overview of the basics to get you started, followed by a deep dive that teaches you everything you need to know about EOS smart contract development, all with plenty of code examples. 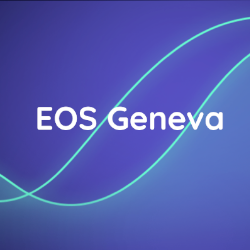 Using this knowledge we will build a fully decentralized app on the EOS blockchain and deploy it to IPFS. You'll learn how to integrate a web frontend that securely communicates with your decentralized app and lets users use it in a convenient, familiar way. 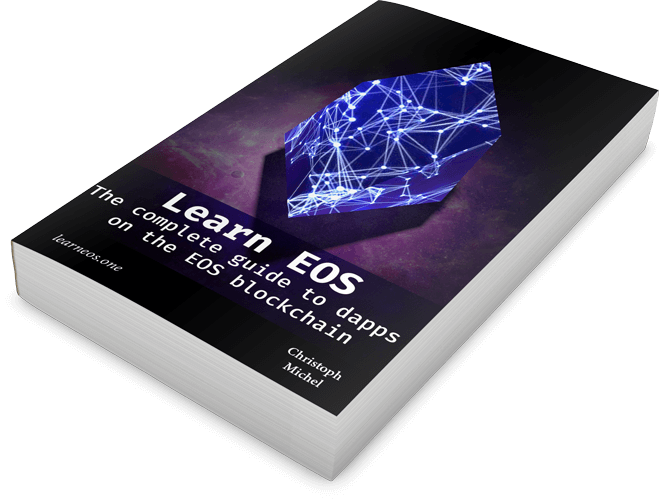 If you want to learn blockchain development with EOS to build your own decentralized applications, then this book is what you need! What does it mean to build a dapp? Where to store the files? 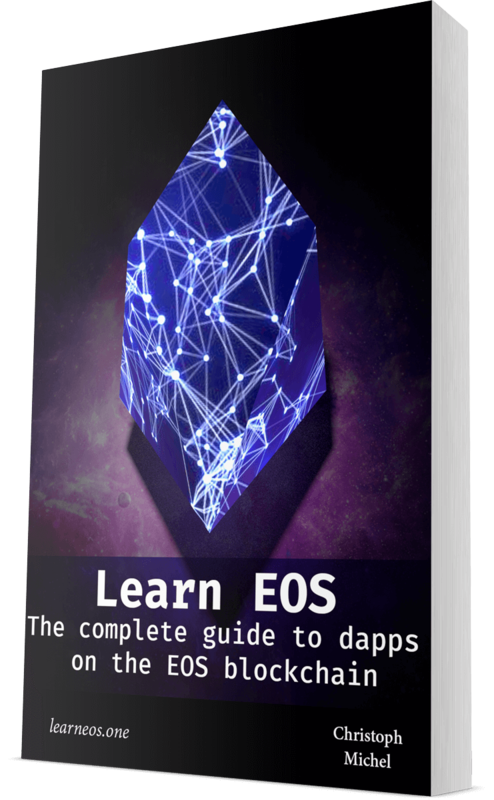 This book will teach you everything you need to know to develop full-stack dapps on EOS. Contains in-depth explanations on 260+ pages. Read on any device - Completely DRM-free, professional-grade PDF, and epub formatted ebook. 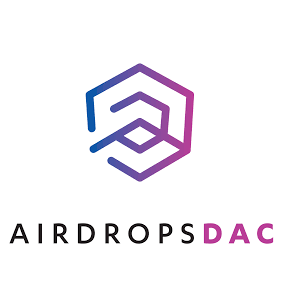 Includes the code for every sample in the book, as well as the whole frontend and smart contract code for the dapp we will build. Get all book updates for 1 year for free whenever new functionality comes out or packages are updated. If you're not satisfied with the book, I'll give you a full refund within 30 days. 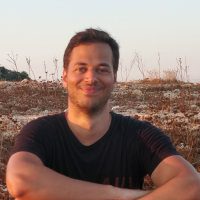 Christoph Michel is a senior full-stack software engineer with over a decade of experience, now specializing in Blockchain development. During his Master studies in Theoretical Cryptography he quickly became accustomed to decentralized and privacy-enhancing technologies. At present, he is working as a contractor helping blockchain startups build decentralized applications. His early involvement in EOS was visible immediately after the Mainnet launch in June 2018 by releasing one of the first games on EOS, King of EOS. Since then, he has helped many projects launch and contributes to various open-source projects. One of his missions is making blockchain technology more accessible to both developers and end users through tutorials and ... this book! © All rights reserved. Made with 💖 by Christoph Michel. Receive two free chapters of the Learn EOS book, sneak-peaks and other free EOS learning materials.